Over the next few months Milestone will be rolling out its Season Pass content for Monster Energy Supercross…..what’s the first new area to be added? We found out today….curious? It’s The Compound, a new open area filled with bridges, bumps, giant hills and plenty of other things to jump off of (just watch out for the cacti). 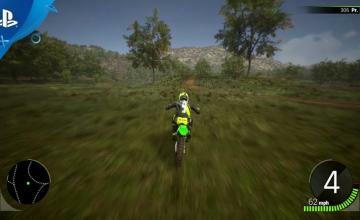 The Compound brings two new tracks with it: one for Supercross and one for Motocross, and both have Time Attack and Single Race modes. At last, gamers can hone their skills inside the training grounds of The Compound. 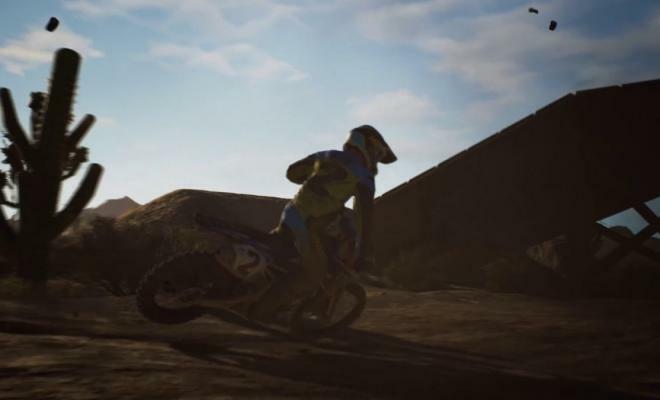 As part of the game’s season pass program, The Compound is an exciting, new outdoor environment, complete with two new tracks and a slew of additional challenges for players to perfect. Granting season pass subscribers additional choice, one track will embrace the Supercross style of racing while the other will focus on Motocross. The modes Time Attack and Single Race will be playable, with the latter featuring challenging AI for gamers to battle against. You canget The Compound separately for $4.99, or as part of the $14.99 Season Pass. If you have the Pass, you’ll also get five extra DLC items. Monster Energy Supercross is out now for Playstation 4, Nintendo Switch, XBox One and PC.